Here we have an artbook including two stories and covers of various works. An english version was published but I can’t find scans sadly. 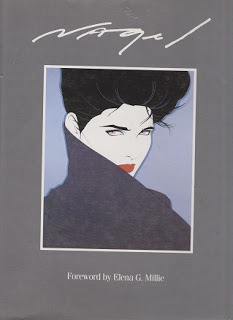 Being a Patrick Nagel fan myself, I took the opportunity to scan an artbook of his I had lying around. It’s got lots of nice pictures of all sorts of things he drew, it’s wroth a look if you are interested in art or a fan like me. Have at it.